Martinsburg citizens wait in line to petition for or against the LGBT discrimination ordinance. 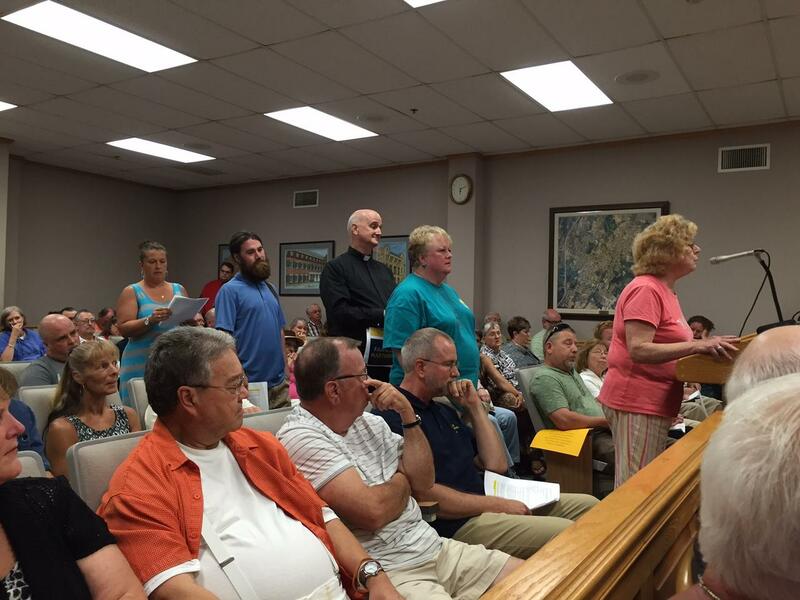 The Martinsburg City Council Chamber was packed Wednesday night. Martinsburg and other Eastern Panhandle citizens came out to either listen or speak regarding the chamber’s proposed non-discrimination draft ordinance. If approved, the ordinance would prohibit any business or landlord in the city from discriminating against someone because they are gay, bi-sexual, or transgender. Petitions lasted for two hours. The speakers were almost evenly divided with 21 in support and 24 against. Republican Delegates John Overington and Michael Folk also spoke against the ordinance. After deliberation, council members voted in favor of drafting the non-discrimination ordinance, but say they will take both sides’ concerns into account. The draft ordinance will be made public in 30-60 days.